Generally people have a tendency to find for shops, food, salon, spa, shopping malls, mechanics and theater hall all near their houses. And they are not turned down in their quest to find so. Internet marketing is flourishing like never before. Thus our customers at Net Soft Lab have a variety to choose from. There are a number of search engines these days. Earlier it was only Google; but now there have been local search engines, general search engines and internet yellow pages and a number of other web pages that enlist the local business. In this way, our local listings are something that must be paid serious attention to. Google did not create local listings considering the big businesses in mind. This is quite a paradox in itself; according to Google 75 per cent of the searches are local searches. A businessman need not be told about the importance of missing that 75 per cent. 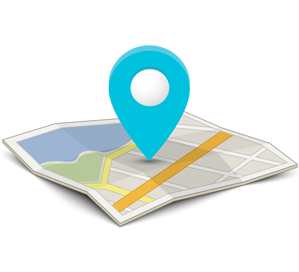 If your business already is featured in the local searches, then you have to claim the local listings. After all this, you need to keep a close check on whether your business local listings are available on the search results of late. If not then, step into the new arena of Google map optimization. Local listings give you a larger exposure in your locality more than ever before. The customers might have never known about your business if you did not put up a local listing. People have changed these days. Rather than going out of the house they do a complete search on the product that they want. So in this case, our aim is to help your business to keep pace with the new demands and ways of success, in order to make a good business.